When we get massive amounts of rain here, there's this part of my front flower bed right next to my front door that seems to take a beating. The gutter that handles about two thirds of the water off our roof funnels it all to the other over-worked gutter. We need to fix the gutter system and we will. It's on the Honey Do List! In the mean time, we washed all the mud, dirt and old mulch off the brick from the constant Niagara Falls we seemed to experience with rain-mageddon at the beginning of this spring. 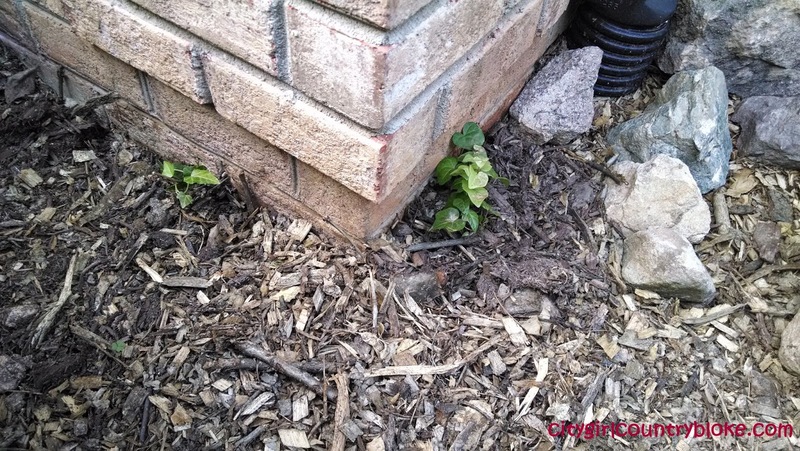 We mulched our flower beds using nothing but our free wood chips and I (personally) love the all natural, wood chip look! Every time I see colored mulch, I stare at the mulch, not the plants. 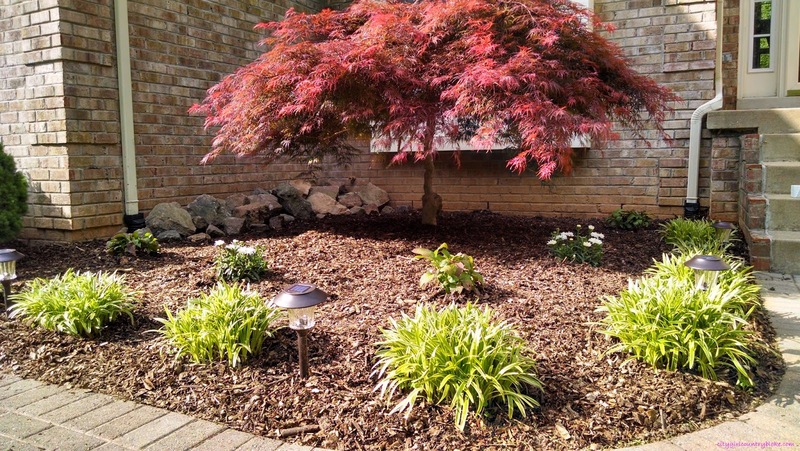 My plants take center stage in my flower beds so I'm really digging the natural wood look. Did I mention the wood chips were free!! So while we were mulching, I was thinking about ways to prevent the mulch from getting washed away. 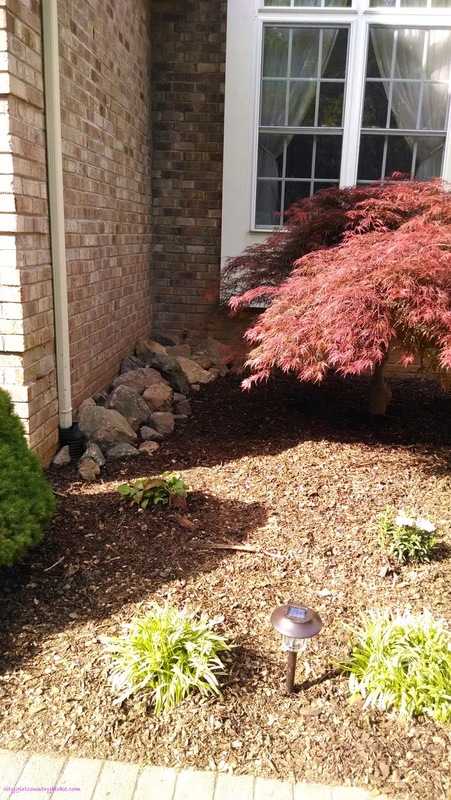 Last year when we went to pick up the boys Craigslist playground, Country Bloke noticed a huge pile of nice looking rocks in the person's backyard. He allowed us to take them (for a very small fee of course) so we've had the huge pile of rocks in the backyard next to the wood chip pile. 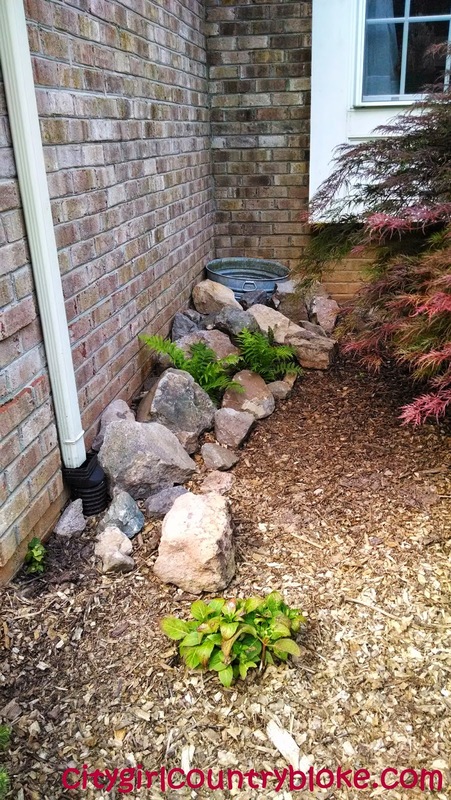 After mulching was complete, we stacked the rocks in along the wall as you can see in the Phase 1 picture. I put an old galvanized tub in the corner to catch some of the rain water but it still looked sort of lifeless to me. 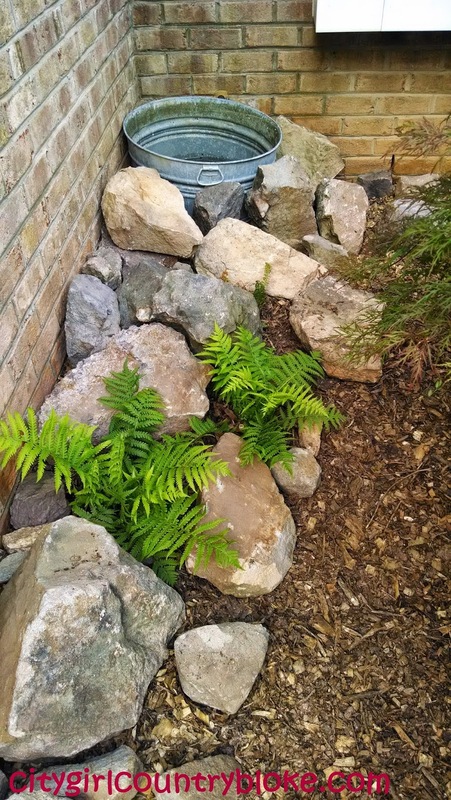 So I went to the local nursery and picked out two Ostrich Ferns to complete Phase 2 of the project. I love ferns. 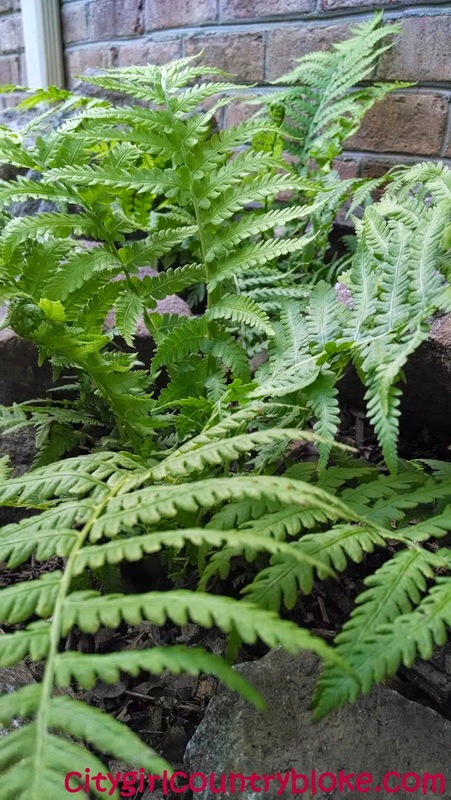 I especially love these particular ferns because they form dense colonies and help with soil erosion problems. 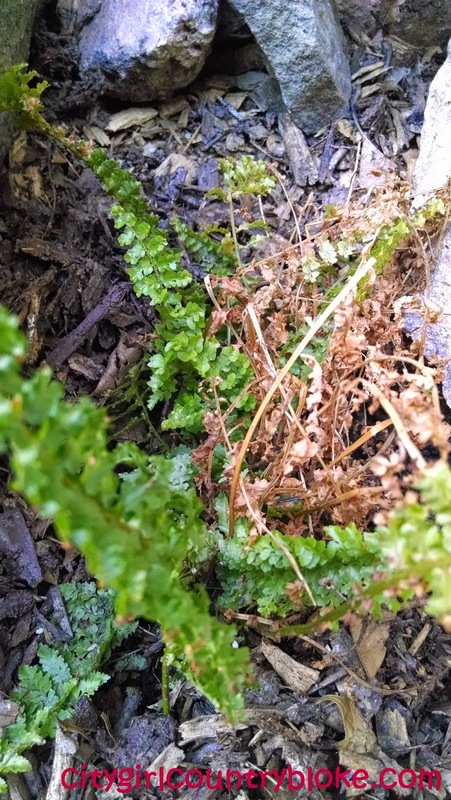 If you have an issue, see if your local nursery carries Ostrich Ferns. I'm pretty excited to watch them grow and spread. And they will come back after winter is over. Score!